The focus on one color assignment looked really cool, and I had never done something like it this whole semester so I figured it would give it a shot. I immediately knew what I would take a picture of and I decided it would be a picture of half of my shoe collection. A lot of the boxes are opened because I recently wore the shoes and haven’t put them back yet, oh well! 😉 The majority of my shoe boxes are orange or have orange in them seeing how most of my collection is NIKE and that’t their color. So I used a photo editor online, (fotor.com) and used the color splash feature, which turns the whole picture black and white and you have to choose with a brush which parts you want to reveal. That was simple enough. Because this photo editor didn’t have the feature to add another photo, I had to use another (piZap.com) which I am already familiar with. From their I added the “Wreck it Ralph” Character onto one of my shoe boxes as if he was standing on it. I chose him because that pose is how I feel when I look at all my shoes, I feel accomplished, I don’t know why I enjoy them so much. I uploaded the photo to Flickr and transferred it onto my amazing blog! :) I have some photos below of me using both the photo editors I used to create this masterpiece. 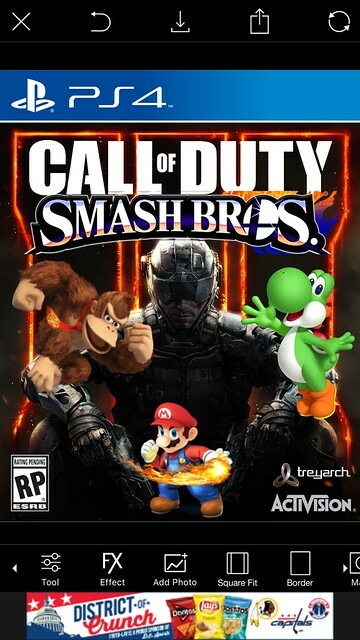 Call of Duty; Smash Bros Edition! Fun for all ages! Bring back your childhood and play with one of the famous Mario characters or join the future and enjoy this first person shooter with plenty of exciting action and gore. I thought this would be great idea because the new “Call of Duty; Black ops 3” had just came out and I’ve been playing it non-stop. But I wanted to take this serious first person shooter and turn it into something funny and a bit more childish. 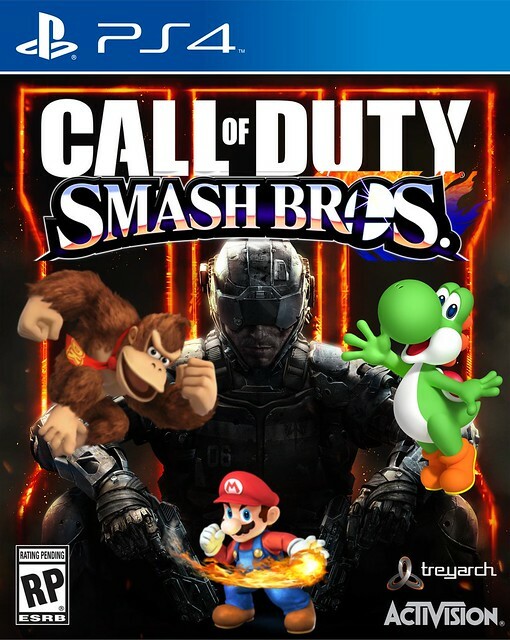 So I mashed the two titles together, Call of Duty and Super Smash Bros 4. I took a game that I used to play all the time when I was younger, and mixed it with a game that I play now. I took a picture of the call of duty cover off of google, then used a picture editor on my phone to crop, each of the Smash Bros characters out and simply added them to the cover in places that matched up perfectly. After I just saved it to my phone and uploaded it to Flickr. Here is a screenshot of me editing the picture on the app. I seen this assignment and immediately knew who I wanted to use for it. 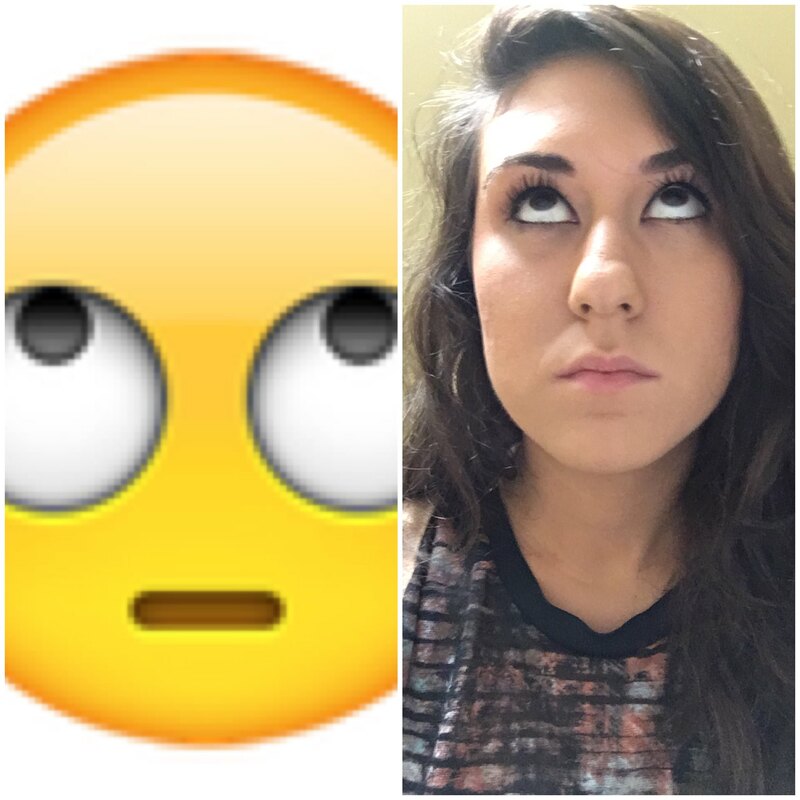 My girlfriend is alway making those enjoy faces and this has got to be her favorite one. She constantly sends it to me, (maybe because I get on her nerves). It’s nice to have all of these fun assignments where I can put my own spin on them. This was very simply all I did was get the two pictures, and combined them together using the popular app “PicCollage”, uploaded it to Flickr and shared it to my blog. I think it is a nice addition! This assignment was to take a scene from a movie and insert something that clearly is not supposed to be there. So I thought about one of my favorite movies “Coach Carter”, and since it is such a serious movie and the fact that is a true story. I thought it would be perfect and pretty funny to make it kind of a joke. This specific scene is Coach Carter meeting his players for the first time, introducing himself and letting them know all the rules and guidelines that they need to follow. Laying down the law, and making sure everyone is on the same page. So I decided to take a couple characters from the Minions movie and threw them in there as if they were also listening to the coach speak to the players. One of them taking some notes down, while the other is interrupting with questions. To complete this assignment I found the picture of the scene on google, for the two minions I found their pictures on google also but I had to crop them from out of their pictures because it had backgrounds that simply wouldn’t go well with this movie. Then I used an online picture editor (piZap.com) to edit the two pictures together and put the two minions in their places. Them simply saved it to my computer when I was finished. These last two weeks weren’t to hard. I learned a lot more about Windows Movie Maker than I already knew. I liked the fact that I got to put my own creativity into the videos and use my topic or theme for them. I learned that I really like making montages and highlight videos, I was thinking about making another YouTube channel strictly for that and seeing how many views and subscribers I could get. I think it would be pretty cool, so I can actually say that these two weeks have broadened my horizons! And introduced me to something that I never thought I would like doing.